Staffing Solutions of Hawaii is located conveniently in Honolulu to serve both Employers and Employees. 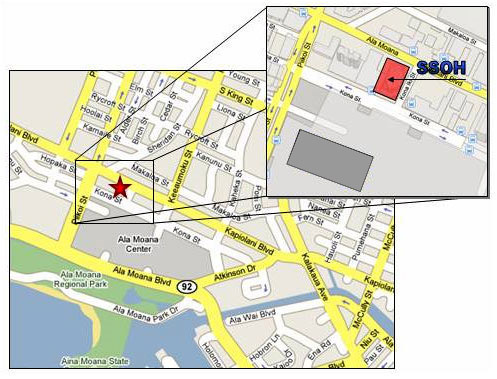 The Honolulu office is located on the makai (ocean) side of Kapiolani Boulevard. The office is located on the 14th floor of the 1357 Kapiolani Building. There are two entrances to the building: one that faces Ala Moana Shopping Center on Kona Street, and the main entrance on Kapiolani Boulevard. Please call 808.949.3669 for further directions. Please note that we do not validate parking in our building, however, there is plenty of free parking in the area.